Let’s get real. The Trump administration is bragging about the policy of separating children from their parents seeking asylum. They claim it’s the law. The truth is that it’s racism. 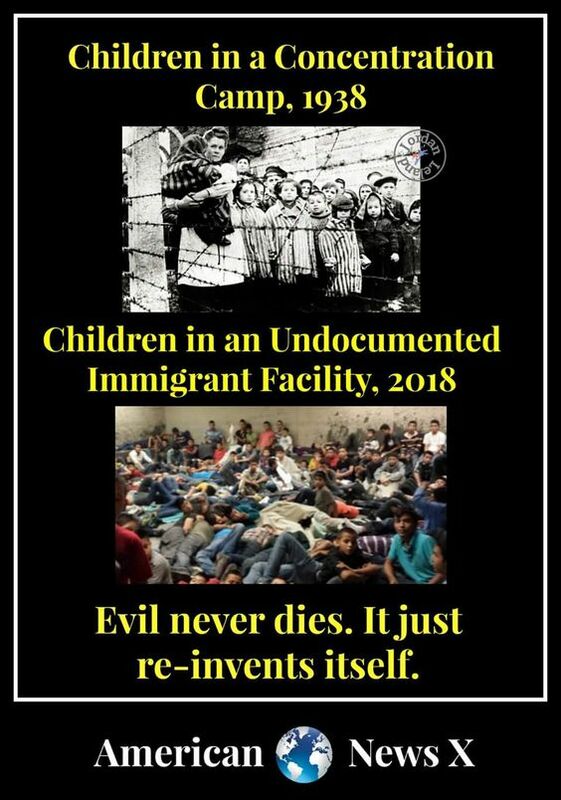 The truth is that it’s a totally immoral policy supported by a Republican party who is fully complicit in this evil being perpetrated by the Predator of the United States. We are closer to a white nationalist state than anytime in our history. Those supporting the separation of children from their parents at the border need to remember the Jews rounded up by Hitler. It didn’t start with the gas chambers. We need to stop this madness right now. This is not the nation I have fought to protect. 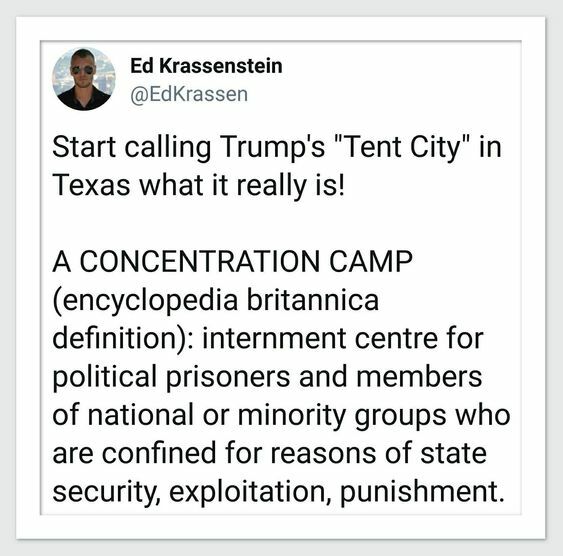 This entry was posted in Hunger & Poverty, News & Views, Quotes and tagged Adolf Hitler, border, concentration camps, Ed Krassenstein, evil, explotation, gas chambers, immorality, Jews, law, minorities, political prisoners, Predator of the United States, protection, punishment, racist, security, separation, state policies, tent cities, Texas, Trump, white nationalist state on June 18, 2018 by Ray Buchanan. There are those who refuse to see. There are those that look the other way. There are those too busy to care. Then there are those who actively endorse and support this evil. In the final analysis…they are all the same. Silence in the face of evil is complicity. This entry was posted in Hunger & Poverty, News & Views and tagged 1938, 2018, American News X, children, complicity, concentration camps, endorsement, evil, immigrant facility, Jews, Nazi Germany, policy, racism, silence, support on June 9, 2018 by Ray Buchanan.